VACo’s Associate Member Program is the most efficient and cost-effective way to showcase your company to decision makers from Virginia’s 95 counties. This relationship can play a major role in your marketing efforts, and it benefits counties by identifying potential suppliers in a broad range of services. VACo believes that developing a strong relationship with the private sector and other public sector organizations is beneficial not only to counties, but also to the people of the Commonwealth. For more information on VACo’s Associate Member program or to apply for membership, see our Associate Member Brochure & Application. Your company or organization is listed on our dedicated associate member webpage in the category of your choice. Cross-referencing in more than one category is available. 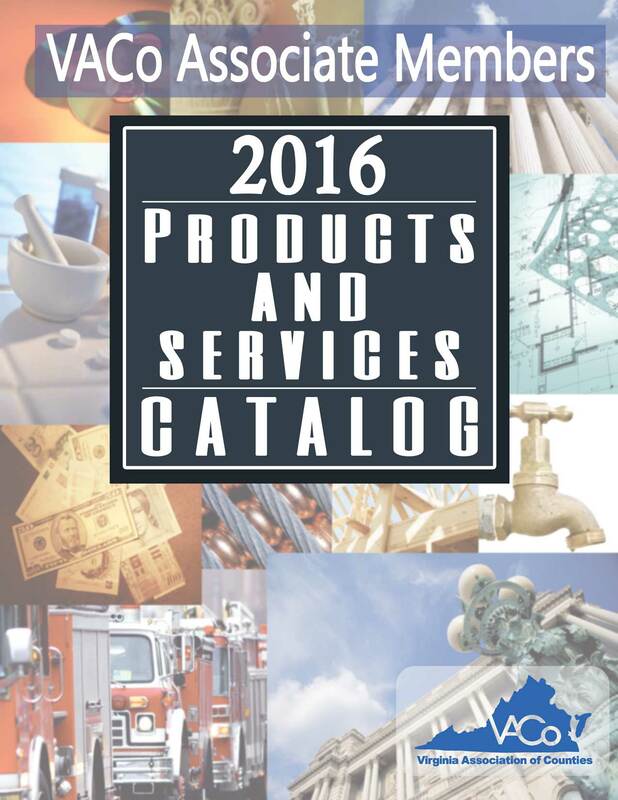 Your company or organization is listed in the online Products & Services Catalog which is updated annually. You may request to be cross-referenced under more than one category. Members may submit articles of interest for publication in County Connections. Submissions can include job openings; company news such as new employee hires and promotions; webinars or other educational events; special offers or discounts to members on your products or services; photos of completed county projects, etc. Members are notified when it’s time to register for VACo’s annual conference which is held each November, and are eligible to register at the county membership rate. Associate members who reserve an exhibit booth at the annual conference receive a $50 discount off the exhibit fee.